This papercut crocodile birthday card is the perfect way to celebrate a birthday for anyone with a love of alligators, crocodiles, or just bad puns! 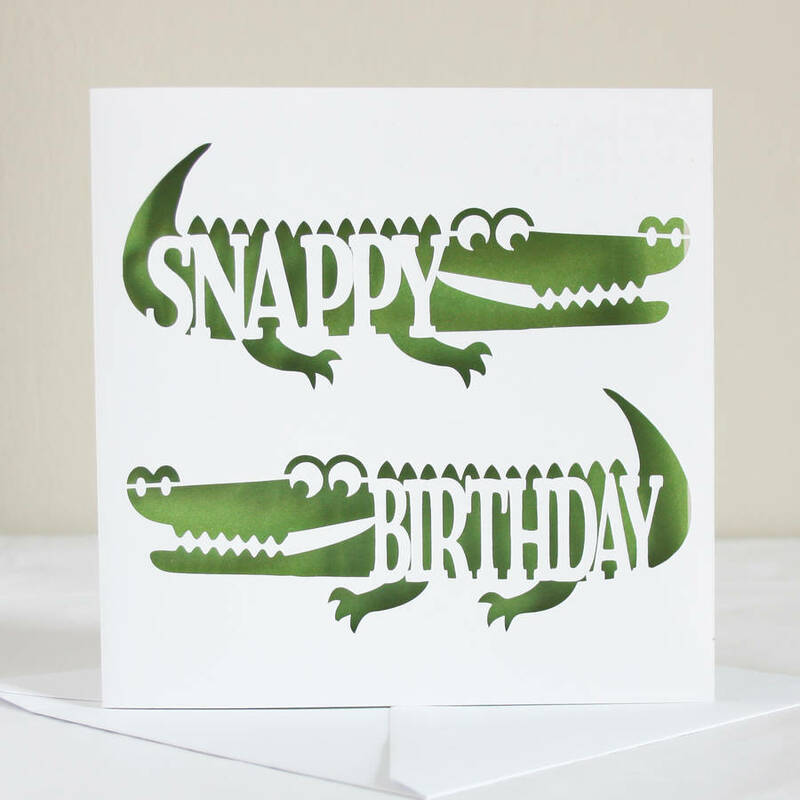 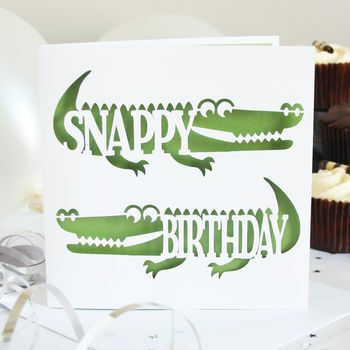 The card features the silhouette of two cheeky crocodiles, with the message 'Snappy Birthday' cut into them. 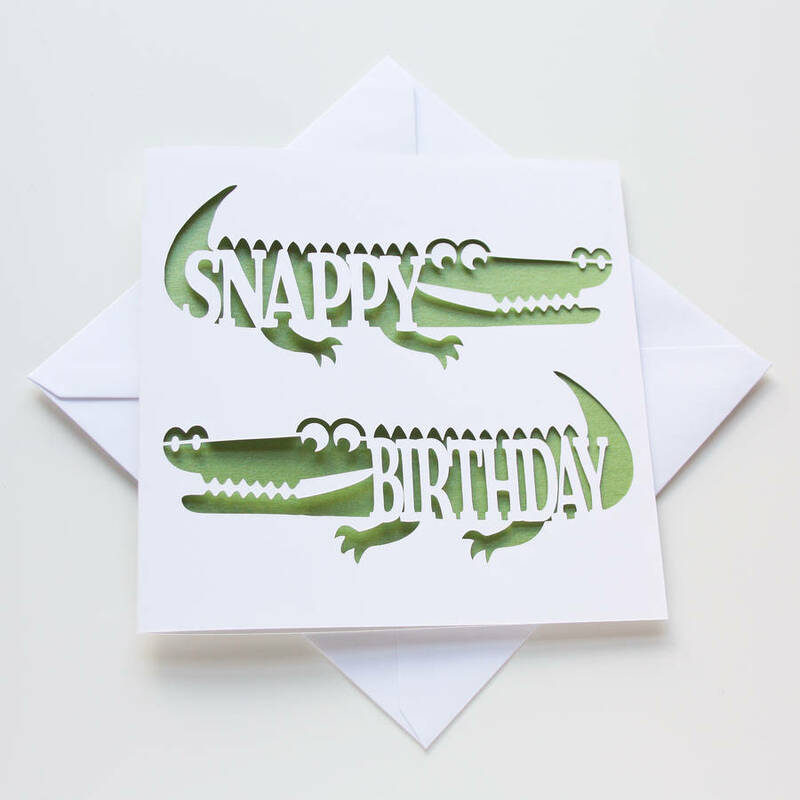 Each card is cut on a smooth white recycled card, with a green pearlescent paper insert, and is finished by hand. 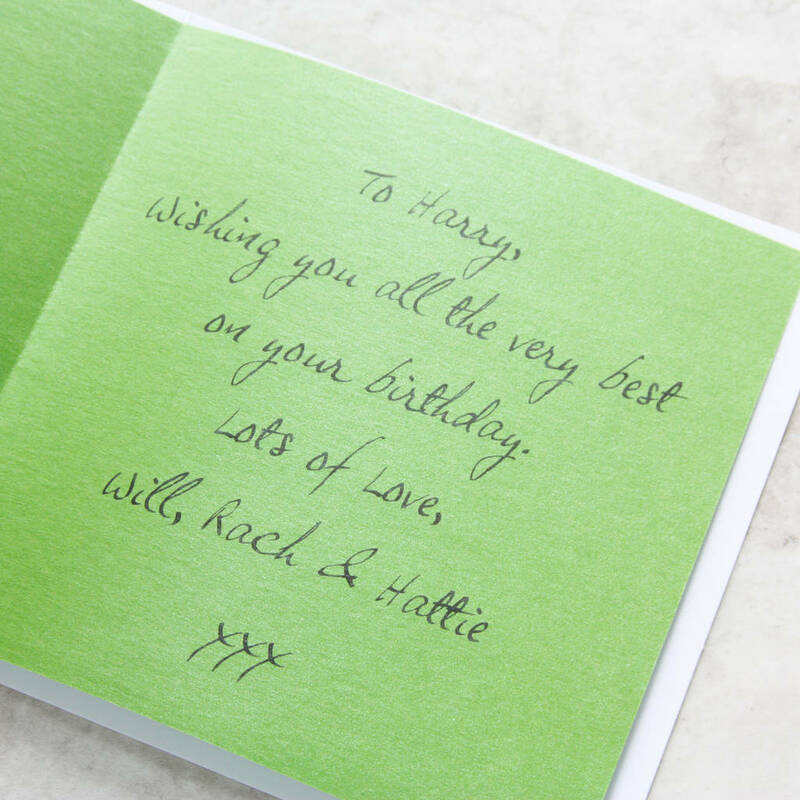 High quality smooth white card, with a green pearlescent paper insert.